Saleem Yousuf (born 7 December 1959) is a former Pakistani cricketer who played in 32 Tests and 86 ODIs from 1982 to 1990. He was a wicketkeeper. He made his highest Test score of 91 not out against England at Edgbaston in 1987. One of his most memorable innings was in a match against the West Indies in the 1987 World Cup, which turned certain defeat into victory for Pakistan. 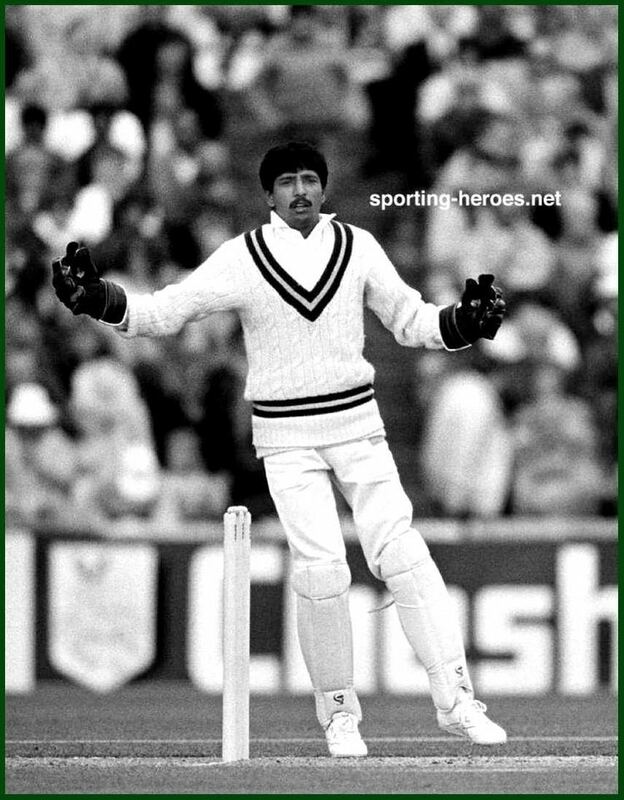 In 1990, Saleem Yousuf became the first wicketkeeper to record 3 stumpings in an ODI innings and still jointly holds the record for the most number of stumpings in a single ODI innings. After retirement, he served on the Selection Committee for the Pakistan Cricket Board. He presently serves as Principal Appraiser in the Pakistan Customs Service. He is currently one of the members of the Advisory board of PSL's franchise Karachi Kings.